Summer is coming and our old friends the household pests are gearing up to entertain themselves in our homes. Why is a plumber blogging about household pests? Because water leaks are a huge attraction to all manner of household pests. 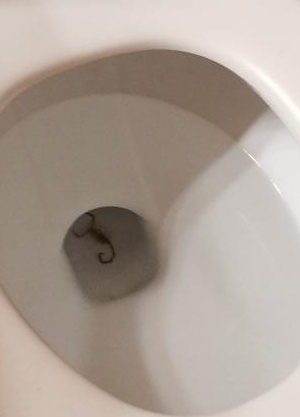 Scorpions are often found in the bathroom or kitchen since these places are where the water is located. Oddly enough, sometimes the first way people discover they have a leak beneath their bathroom sink is when they start finding scorpions skirting around the bathroom baseboards beneath the wet towels the kids have left on the bathroom floor. In the outdoors, scorpions like to hide under piles of wood, plant pots (water, remember? ), and under decorative pieces. But, if you have a leak inside, they’ll happily come flocking to it like shoppers after a Group-on. 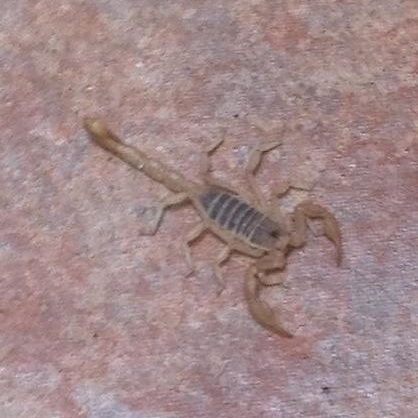 The truth is, if you notice a scorpion in your house, it’s highly likely there are more. Always check the bath or shower before you get in it. Don’t let the kids store their bath toys in the bath and check them before you add them to the bathwater. Scorpions like to hide beneath toilet brush holders and along baseboards and other places where they’re difficult to see. In other areas of the home, when they’ve spread out to find bugs, they also like to hide in bedding and shoes. Please shake these items out carefully before you use them. In order to control scorpions, water leaks need to be repaired and cracks and crevices need to be carefully caulked. Screens and doors need to have tight fittings and seals, especially if you have outdoor potted plants or a fountain. Food grade diatomaceous earth along with your foundation and beneath the dishwasher and under the refrigerator can help. Scorpions can also be trapped with sticky traps. If you have scorpions, it’s likely that they’re eating the other bugs in your home, because they’re bug-eaters, unlike ants and cockroaches. Ants are bold about fetching water from a slow leak. Ants are another household pest attracted by moisture and food. Various forms of control involve fixing water leaks, caulking cracks and crevices where ants can get in (same as for scorpions), and leaving homemade or commercial bait at the point of entry. Since ants leave a pheromone scents which other ants follow, a vinegar solution or windex works well to eradicate it. But, if you can, resist the urge to kill them and leave bait, instead. They will take it back to their nest and kill the whole colony. Either commercial bait or a home made version of 1 part borax to 3 parts powdered sugar will work, but don’t leave Borax out where your pets can get into it. Soak cotton balls in ¼ C sugar, ½ C water, 1 Tablespoon Borax, and leave it right in their path. The sugar will attract them and the Borax will kill them. Mix equal parts jam and borax and leave in on an index card where they will find it. In addition, every possible item they can eat has to be eliminated. Crumbs, soda spills, even jars with drips interest ants. Things that shouldn’t be refrigerated (like jars of honey) can be put in plastic ziplock bags. If they’re on the kitchen counter, they will hide under whatever is on it. This includes the coffeemaker legs, a drinking glass, the dish soap bottle, everything. Cleaning is critical to cut off their food supply, eliminate their pheromone trail, and get rid of places they can hide. A scorpion can live for a couple of days underwater. Not even the rinse cycle will drown one. Cockroaches are another critter which needs moisture to be happy. Sometimes, a lone cockroach will turn up because they hide in cardboard boxes and paper bag cracks. If there is more than one, they have colonized your kitchen for the same reasons as ants (moisture, food), and can be treated with the same leak repair and cleaning practices, and caught with sticky traps or Borax. Cockroaches are attracted to dirty dishes, trash, grease, and cardboard glue. They can often be found hiding beneath a dog food dish or water dish. (But, not the cat food dish. Haha!) A clean house won’t guarantee they’ll stay away, but a dirty house will attract them. Borax and sticky traps both work on cockroaches, but they breed fast and are seemingly ubiquitous. We hope this will arm you to do battle with whatever tiny critters come your way. Give us a call if you have a leaky sink.